Quick post as a follow-up to yesterday’s post about the Time Management powerpoint for kids…. 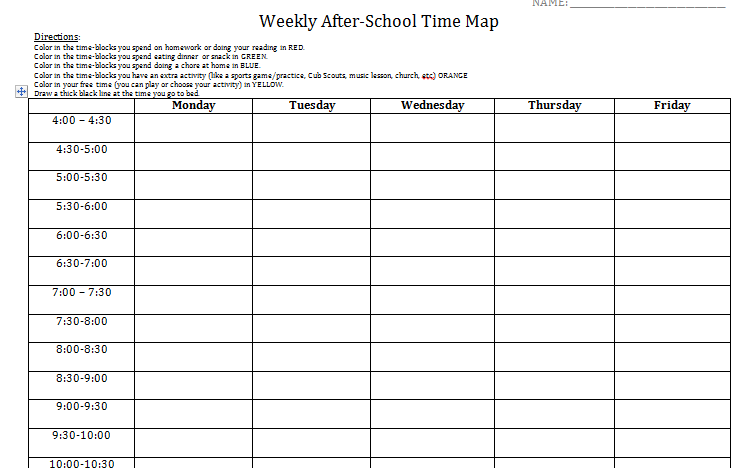 Here is a log that I have used with students to get an idea of how they are currently managing their time after school…. It’s nothing fancy that you couldn’t quickly create yourself….but why make more work for yourself?